It’s the start of the New Year, and I’m optimistic for what’s coming this year in our business. I realize that’s difficult. With the country divided and no economic growth in the stock market so far under this administration, everyone is a little on edge. Folks are looking at their own bank accounts (and 401K’s) and just hoping we don’t go in the opposite direction of the last nine years of growth. May not be the time to save that money. May be the right time to go and purchase some new gear. 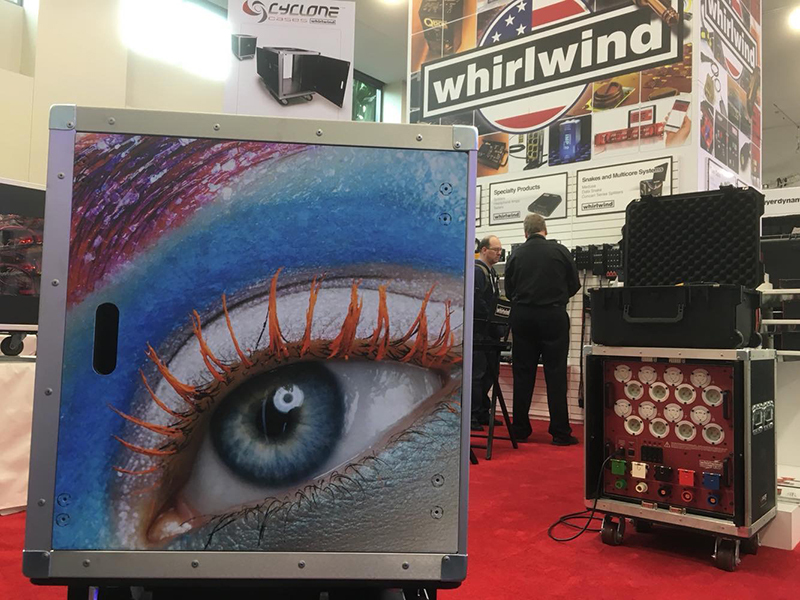 Whirlwind will be returning to NAMM 2019 to show off their cases and cables at Booth 16116. 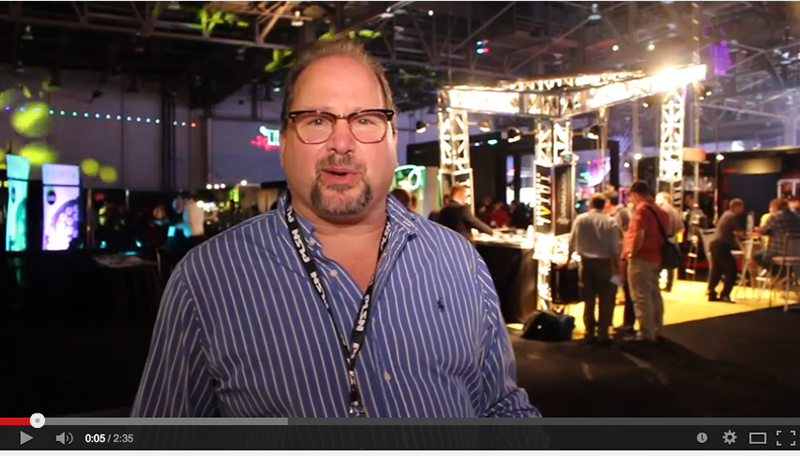 LDI is great at teasing us with the new gear that will soon be available. Companies show prototypes or first round versions of fixtures they have assembled to demo and get people talking — get the early hype going. (Did you see that LED light with the white sparklers on the cells?) But what I enjoy is seeing the finished product that is now shipping and getting it in my hands to play with for a few minutes. Or a half hour. I could call the companies and have them send me gear to demo. But that costs a lot, and I have to ship it back. I just want to see what the product has to offer in comparison to other fixtures, but without being overcrowded or being shouted out by lighting booths with pounding music. That’s why I dig NAMM. Every January, the Anaheim Convention Center just south of Los Angeles fills itself with everyone from the music industry. It’s pretty much America’s version of the annual Prolight+Sound show in Germany, with all types of musical instruments and audio gear on display. The difference is that, while the lighting section of this massive exhibition is more compact than the exhibition area at LDI, most of the major lighting manufacturers are still represented. And in this convention center, they really want the users to get their hands on the products. Of course, if you find yourself in Southern California the fourth weekend of January, you should also pop on down to the 18th annual Parnelli Awards. The live event industry’s leading awards ceremony gives kudos to the top designers and engineers behind touring events and the gear provided for those shows. The grip and grin will be in full effect as the leaders of our industry get to mingle and chat with the current and future designers. It’s always a great place to network, meet new acquaintances and catch up with old pals. So many stories, and so little time. Technicians from all over the country take advantage of the many educational seminars that Timeless Communications has assembled. Legendary speakers talk about their roles in the business. Programmers are on site to show anyone how to run a console. I look forward to chatting with Chris Adamson, an old touring buddy of mine. He’s in town to accept the Parnelli Lifetime Achievement Award. Chris Adamson has stories about working with bands I idolized as a young man and dreamt of working with. To hear him weave these tales is always a fun time, and I highly recommend sitting in on any session he’s included in. You’ll get an education while enjoying a few laughs. Heck, I’m talking on a few panels over the course of the weekend, while not walking the floor and hanging in various booths. Feel free to say hi and let me show you a few things that I found cool in the lighting and special effects departments. Come and get personal with the new tools that will shape your future.